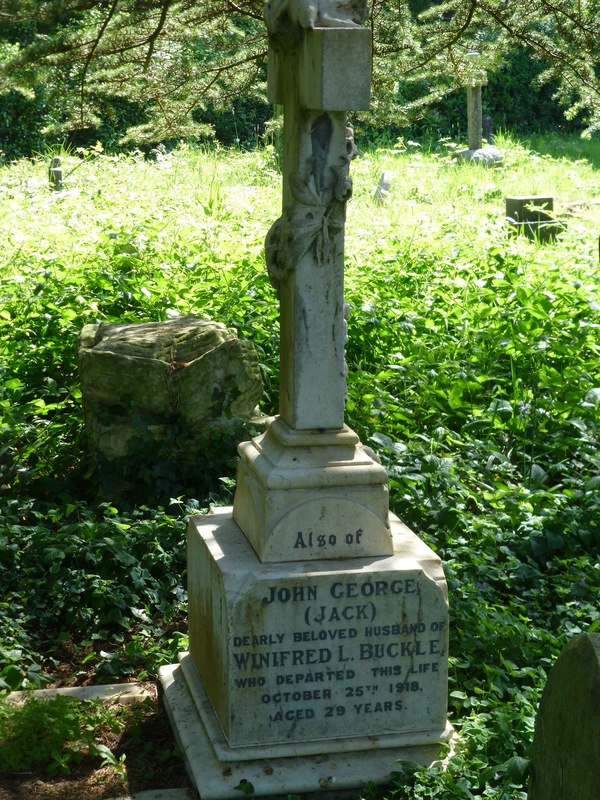 John George Buckle was born in Southampton in 1890. He was the son of George and Elizabeth. The 1911 census lists the family living at 2 Church Lane, Southampton. George Buckle’s occupation is given as a Wholesale Merchant of Fruit and Potatoes. His 3 eldest children, Amy, John and George are all shown as working in the business. John married his wife Winifred, nee Briant, in Southampton in November 1915. Our research has not led to any records that would indicate there were children born of this marriage. John served as a Private in the 2/9th (Cyclist) Battalion of the Hampshire Regiment and was subsequently transferred to the 680 Royal Agricultural Coy of the Labour Corps in which he served as a Lance Corporal. He died at home on 25th October 1918 and is buried in Southampton Old Cemetery. Grave reference 191 F 29. Unfortunately our research has not resulted in the locating of John’s service record. Men who served in the Labour Corps are amongst the most difficult to research due to the destruction of many of the Corps war diaries and the small amount of information given in the service and medal documents that survive. Winifred Buckle remarried in Southampton in early 1923 to Albert L Burt. Again research has not led to any records to show there were children from this marriage.